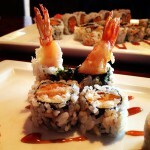 Our directory has 49 Sakura Japanese Restaurant locations. 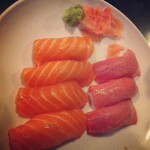 This sushi is the best! Everything is good. Try the Rock n Roll, Texas, Florida and Hawaiian. The vegie rolls were delicious. Try the filet and chicken with vegies. Fantastic!!! This from a very picky eater. I think Sakura is my new favorite restaurant! My favorite Japanese Restaurant. Amazing Sushi-big fish/little rice (perfectly seasoned sushi rice). Great lunch specials. Japanese food done right. Tastes like my Mom made it! Owners are lovely. 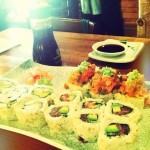 Musts: tsunami tuna, spicy tuna tataki, volcano roll, Christmas tree roll, fire ninja roll. That's all you need to know to start. But everything is amazing here. EVERYTHING.